Just because something is functional doesn’t mean it can’t also be fun. In recent years, kitchen range hoods have evolved from grimy eyesores to works of art. And why shouldn’t an appliance of such large size also make a big (stylish) statement? 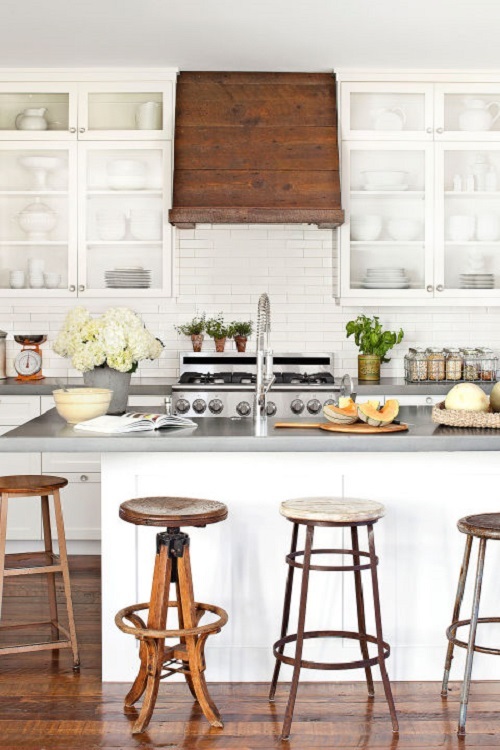 Today, kitchen vent hoods are available in all shapes, sizes, and materials (hello, copper!) that can either draw the eye or blend right in with the surroundings. And you don’t have to spend a fortune on them, either: Some of these are just basic metal underneath a clever DIY job. 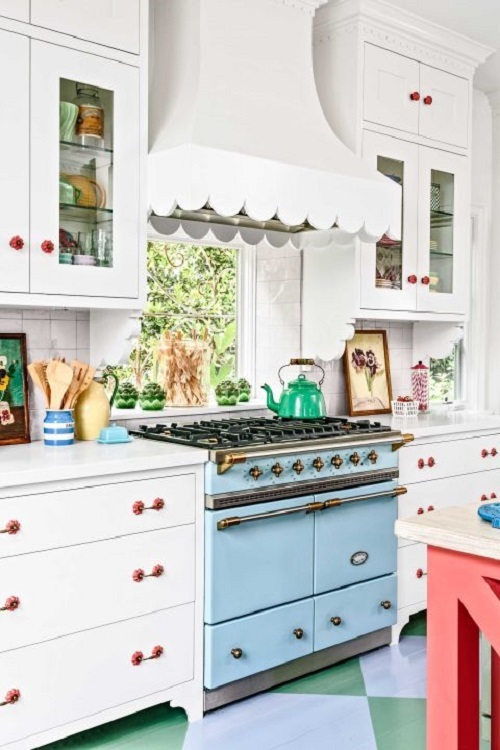 Whether custom- or handmade, these gorgeous kitchen hoods are sure to steal the show. 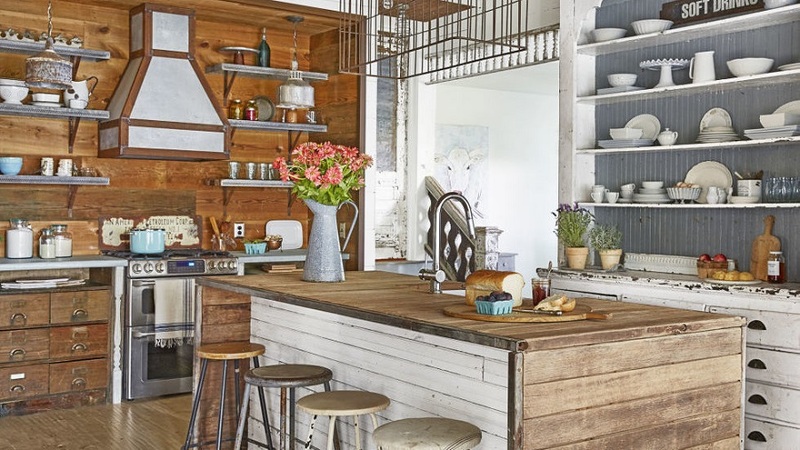 You’d never know this was a basic Ikea kitchen vent underneath that gorgeous wood covering. We love copper for statement pieces. 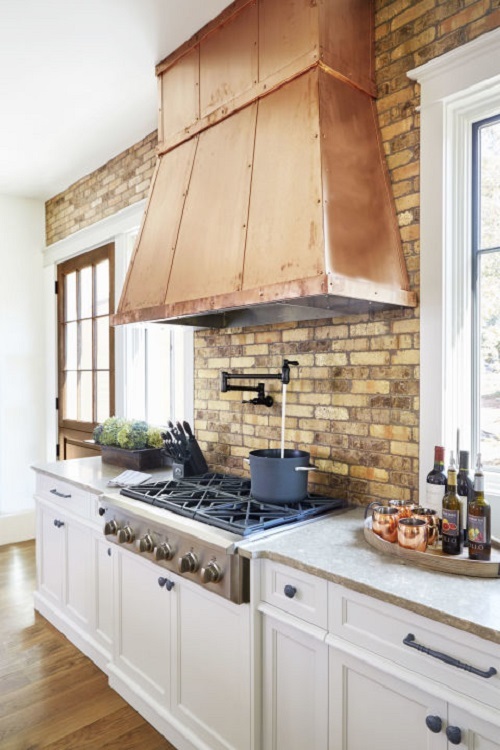 Copper farmhouse sinks, copper centerpieces, and now, meet the glorious copper kitchen hood. This mixed-metal look is huge right now. It doesn’t get any prettier than a scalloped kitchen hood.